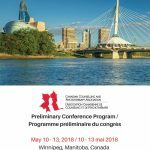 Our 2018 Annual Conference took place in Winnipeg, MB from May 10th to May 13th, 2018. Hear CCPA2018 conference speakers interviewed by Mark Franklin, practice leader of CareerCycles.com and co-founder of OneLifeTools.com. Mark produces and hosts the Career Buzz broadcast radio show (Wednesdays, 11-noon Eastern 89.5FM in Toronto and worldwide at ciut.fm) and podcast (subscribe from www.careercycles.com/podcast). Interviews were conducted on site at the Canadian Counselling and Psychotherapy Association’s 2018 Conference in lovely Winnipeg, Manitoba. Click here to listen to Sheldon Franken’s interview. Click here to listen to Nora Spink’s interview. Click here to listen to Julie Holden’s interview. Click here to listen to John Driscoll’s interview. Click here to listen to Corrine Hendricken-Eldershaw’s interview.